Halloween is a favourite time of year at our home. From my own childhood memories of homemade costumes and bobbing for apples combined with my husband’s remarkable traditions surrounding Day of the Dead in Mexico we agreed early on that we would celebrate Halloween with our boys every year. So far our twins have been monkeys, bears, sharks and this year – firefighters! We love the costumes, the treats, the games and the parties! But, like every parent we worry about what to do with all of that leftover candy. Freeze it? Dole it out in small portions to our boys? Eat it ourselves? When I stopped to think about the best way to use the candy we would get from Halloween, I was reminded of a dessert my mom used to make after Halloween (only now realizing she must have used my candy to make it!). I made two different cakes featuring my favourite Mars candy so that it would appeal to the pure chocolate lovers and those that love candy-coated chocolate. I took the cakes to our staff kids Halloween party this weekend and they were a big hit with the kids and adults. Delicious, light and chocolatey – the perfect dessert! 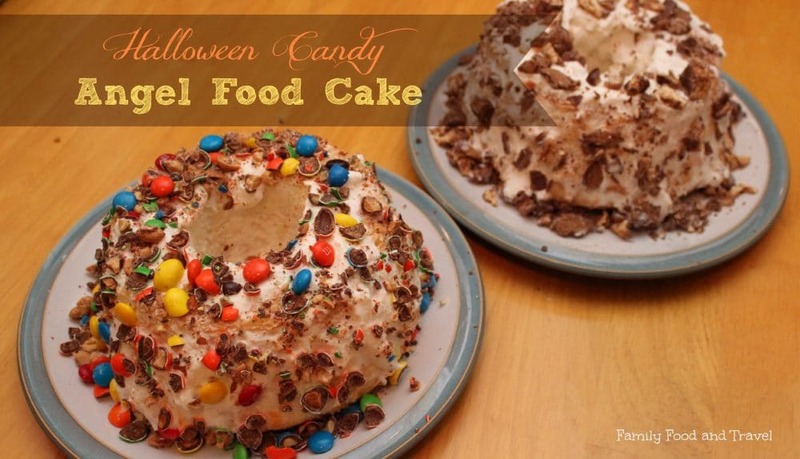 An easy way to turn leftover Halloween candy into a delicious light cake. In our house my boys loved the M&M cake because of all of the colours and fun pieces for them to pick off and eat. My favourite? The Snickers and Mars because it was rich and gooey. Looking forward to making these cakes part of our Halloween traditions. 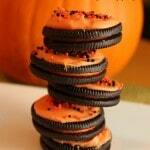 What are you family’s favourite treats to make with leftover Halloween candy? Yum! Great idea and so easy to make! Wow! Both of those look sooo good! Thanks for the idea!! yummy!!! I want a slice! I love everything about both of them! This looks so yummy and is simple enough to make this week. Thanks! OH EM GEE!!!! That looks amazing. Must not show Tobei. He will insist we make it. That looks so delish I could eat one right now! Oh my word! So easy, yet so amazing. I am going to make this tomorrow. I have a rice crispie/mars bar recipe which we love. Yum! This looks delicious. We’ve melted chocolate bars and drizzled them over the angel food cake before but never thought to chop them up and sprinkle them on top. Can’t wait to try it. Oh my word!! They both look sooooo good! Which should I try first? YUM!!! Even thought we can’t eat any of the foods posted, they look delicious! 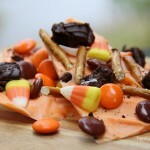 What a fun way to repurpose leftover Halloween candy! 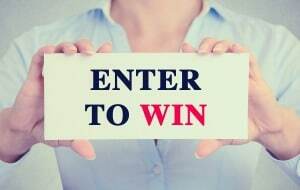 Cara recently posted..Halloween Banner Freebie! Oh I love halloween candy recipes. Any ideas to do something a little bit different is great. This looks so easy and I know my husband and son would enjoy it! I’m not very creative and I’m not a very good cook, so our leftover candy gets put in a “candy drawer” and the kids eat out of that until I decide it’s time to dump for the next load. I do take the time to fish out candy, though, and put it into my soldier boxes for an added treat for them. Great idea Ashley to send along something soldiers would love. When my Daughter was young, I would eat all the candy she didnt like. Now, since I have had candida, I don’t eat any candy at all. No fun either. I love that it’s so simple to make and I know for a fact that my family would devour it in record time! What a great… easy… idea! I love easy! 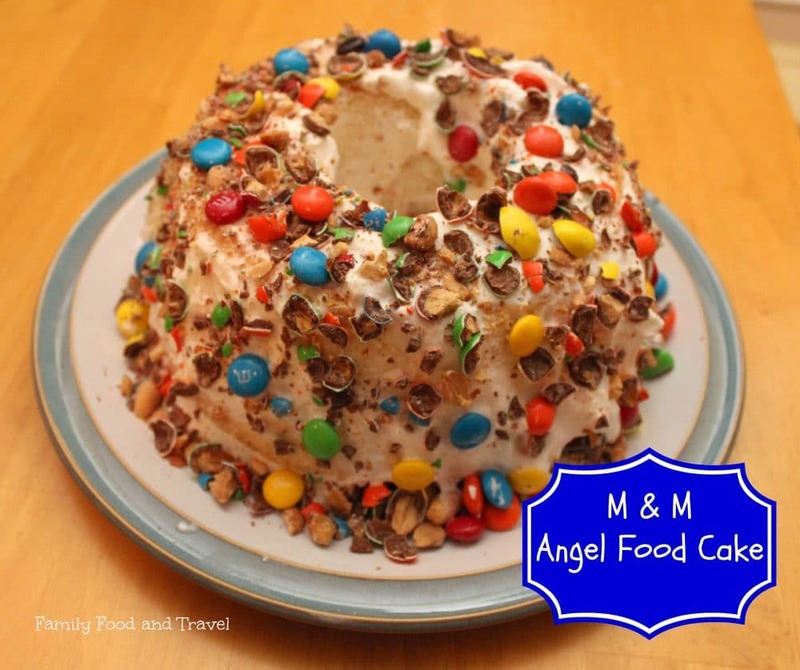 This Mars Angel Food Cake looks delicious and is something my kids and I could do together. Mmmm – what a great use for leftover snickers. I wonder if I can hide them from the husband long enough to get them onto the cake. Challenge accepted! Lol – let me know how that goes! wow yes please i would love the snickers/mars one that looks amazing. That looks amazing! I will definitely have to try that out! I know there is always extra candy around and that looks super easy. Thanks! So, I’m always looking for something simple, but impressive to take to my mommy playgroups, etc. This cake is exactly the kind of thing I need! I like taking store bought ingredients and working with them just a little bit to make them more special. Thanks for posting! The other moms will love you for it! Wow, so easy to make that would make a great dish to take to a potluck when I don’t have time to bake. 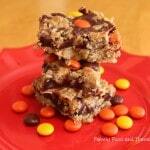 What a great recipe to use leftover Halloween candy. You could probably use any candy for the topping, although I am partial to just eating the yummy whipped cream! AND I happen to like Angel Food Cake and love whipped cream! This would be a delicious treat!! Oh Em Gee! 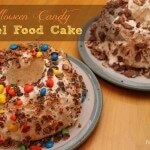 This Halloween Candy Cake looks ahhmazing!! Cake and candy, two of my faves!! I think I will make that for a girls weekend the weekend after Halloween. 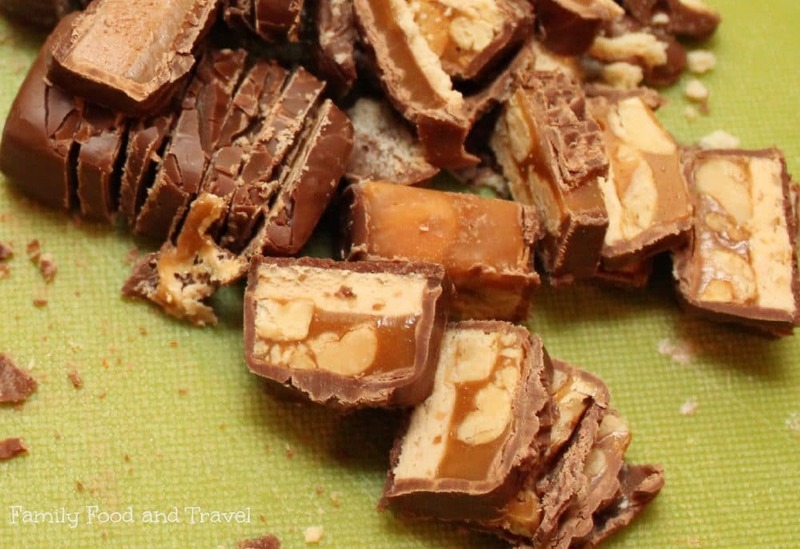 This is a fantastic recipe for leftover Halloween candy! I have been considering what we would do with all of the candy that my three year old will get this week. He certainly doesn’t need it all – and neither does me or my husband. We may try to make this cake if we get enough M&Ms and other goodies!! Let me know how it works out if you do! 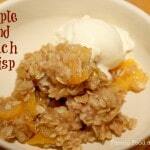 What a super simple recipe and it looks great. I needed a good recipe for Halloween night I could prepare in a hurry. Definitely a treat for kids! And maybe young adults too? My dentist would have a fit day if I eat this. Yum! I am so hungry right now, and you definitely aren’t helping! 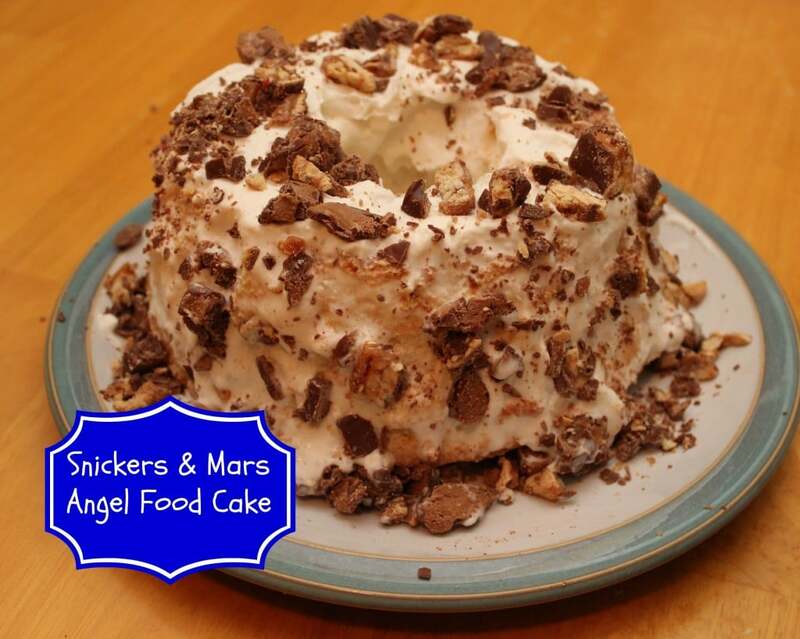 I adore angel food cake and adore Snickers, so I think this is something I need to make very soon. My family would love this cake and it would be fun to take to Halloween events! Yes – great for all events really and yes, Snickers on cake is awesome! 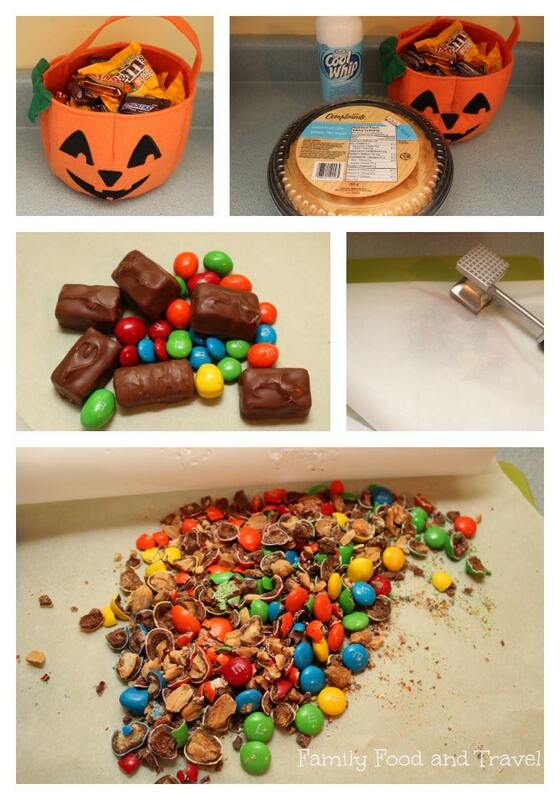 This is such a delicious way to recycle that leftover Halloween candy. My mouth is watering just looking at the photos and I’m sure the cake was light as a feather. Yum! These look so good and pretty easy to make. I prefer to make my own cake, but in a pinch you could use store bought cakea and you instantly have something people will rave over. Oh my word, this cake makes me smile! We are always trying to figure out what to do with the leftover candy and this…takes the cake! Oh my goodness, these look delicious! I especially love the M&M one! This looks great but I have to say I am not a big fan of angel food cake. I know my husband and kids like it so maybe I will make it for them.